This humorous image reminded me of the recent post, 6 Cartons of Anaphora. 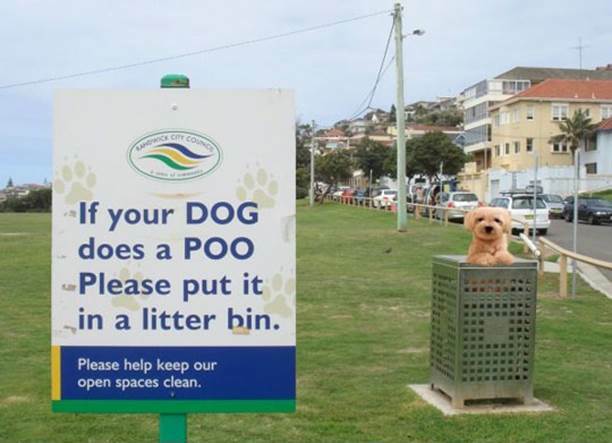 In this instance, the pronoun it is meant to refer to the noun poo, the semantically logical antecedent. Syntactically, it is also more logical to start the process of anaphora resolution by looking to the noun phrase in the sentence which is closest to the pronoun. Note: I received the above image in an email and was unable to determine where it originated as it has made its way all around the internet.